A growing Barnsley-based video production company is celebrating success after securing contracts to produce TV commercials for clients including PizzaExpress. Visualisedit has been chosen as a preferred supplier to three TV advertising organisations, and is now producing broadcast adverts on behalf of their customers around the UK. They have so far produced over 70 commercials, working with Sky AdSmart, London Live and Made Television. These include adverts for a range of businesses, including plumbers, taxi companies, independent restaurants and the high street eatery PizzaExpress ‘which was produced for London Live. Visualisedit was set up in 2013 by former sports broadcaster and college lecturer Joada Allen-Booth, and now employs six people. Based at the Digital Media Centre in Barnsley, the company makes corporate, wedding and event videos, and clients include local authorities, private sector businesses and charities. They also regularly produce videos for Def Leppard frontman Joe Elliot’s band Down ‘n’ Outz. The new television contracts have provided a significant financial boost for Visualisedit, which has been supported by Enterprising Barnsley, the business development and support arm of Barnsley Council. The company is on target for a 30 per cent increase in profit by the end of 2016, and in the last two years, turnover has increased by £100,000. Enterprising Barnsley initially supported Visualisedit with start-up services that included branding, and coaching in how to write winning tenders. And as the business has grown, they have been assisted in areas including HR and financial management. Joada said: “Enterprising Barnsley have been a fantastic source of free support for us, right from day one. When we started out I knew a lot about video production and editing, but less about business ‘so their help was invaluable. And their coaching in how to write tenders has definitely paid off, as our recent contract wins have shown. Alongside its commercial work, Visualisedit also coaches disaffected young people towards digital media BTEC qualifications, working with secondary schools across Barnsley. They have recently started working with a pupil referral unit in Rotherham, and team members also visit primary schools to deliver animation workshops. They plan to continue to run this education side of the business whilst expanding their corporate client base by challenging misconceptions around the cost of video and TV advertising. 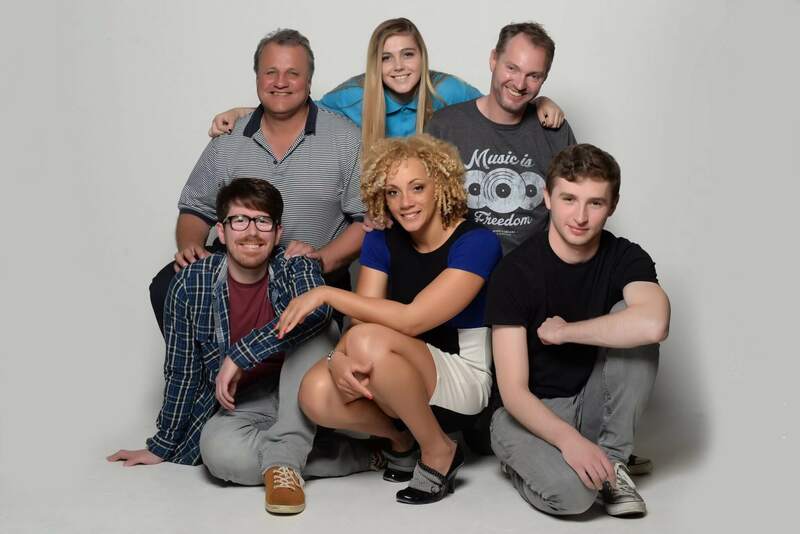 Photograph shows the team at Visualisedit – clockwise from bottom: Lewis Burns, Joada Allen-Booth, Jacob Waterall, Mark Rodgers, Aimee Routledge, Lee Ford. (Jenny Watson not pictured).